If you aren’t able to watch the live streaming of Tiger Woods’ press conference, then the next best thing is to follow the real time conversation about Tiger Woods on Twitter! 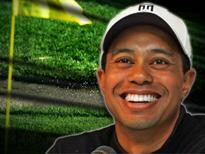 I just finished the custom Twitter stream that will aggregate only the tweets that are about Tiger Woods. So now you can follow the conversation and comments in real time right here!